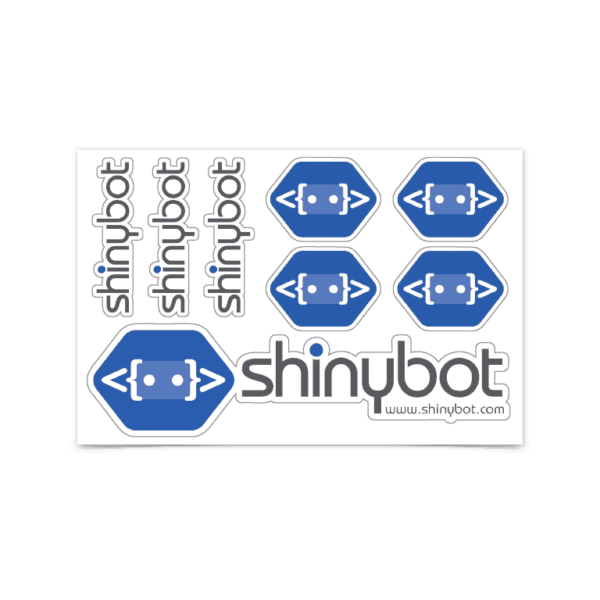 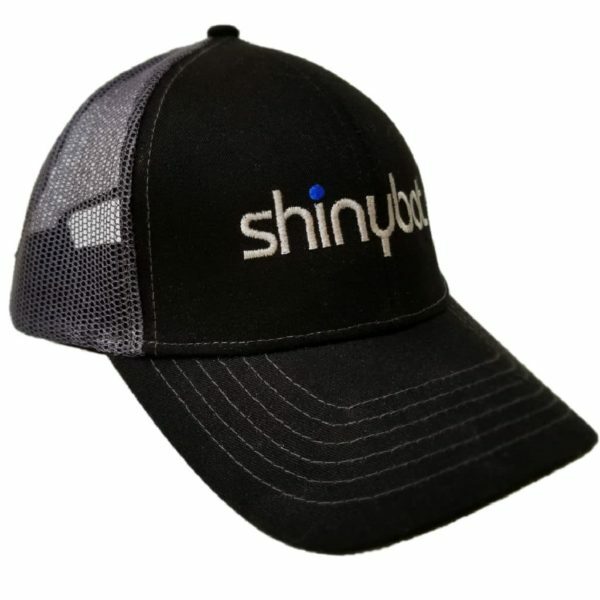 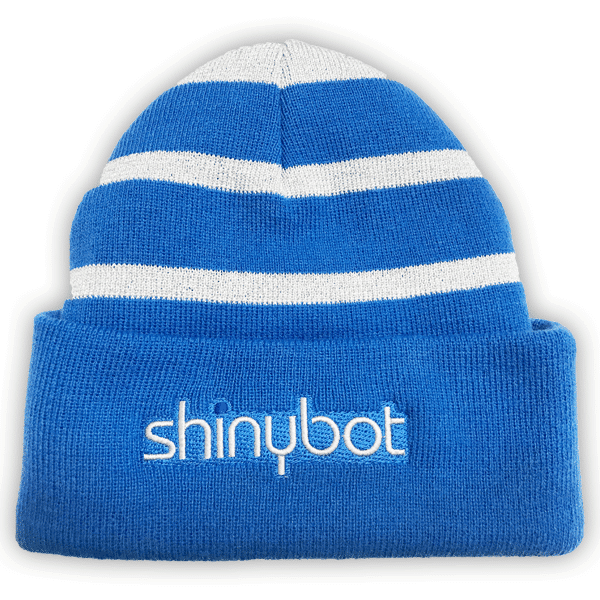 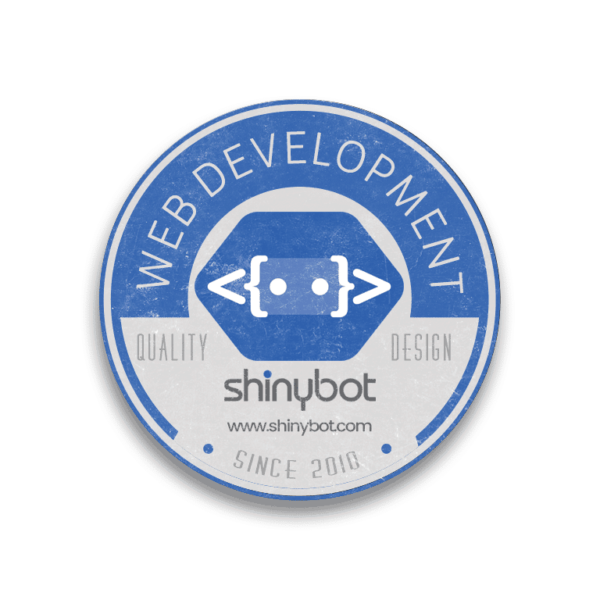 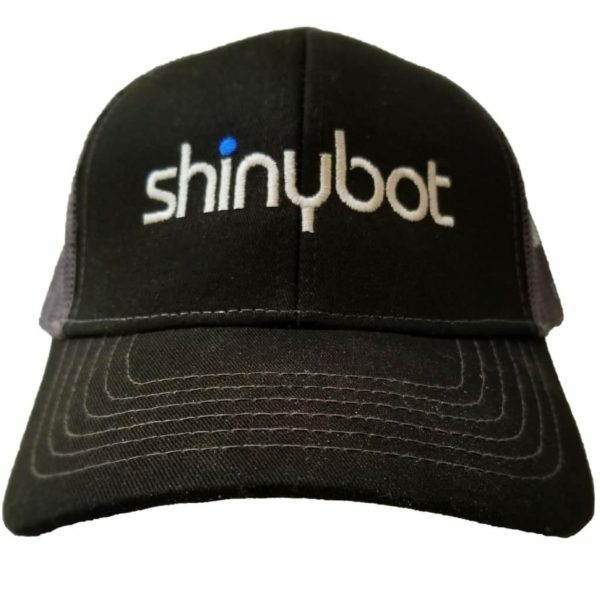 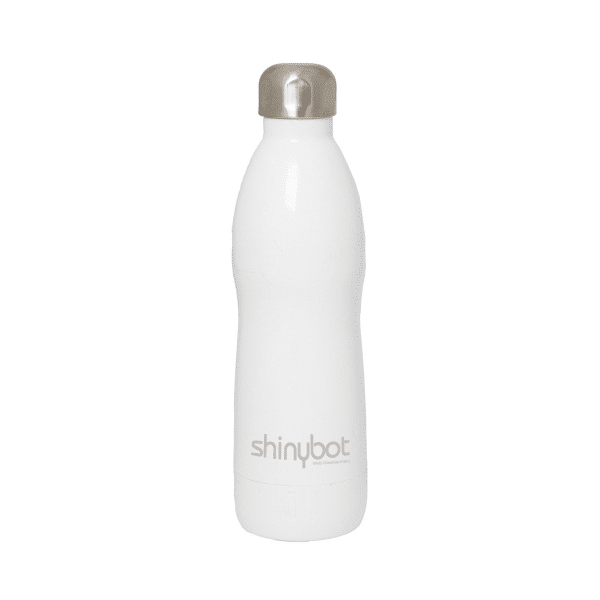 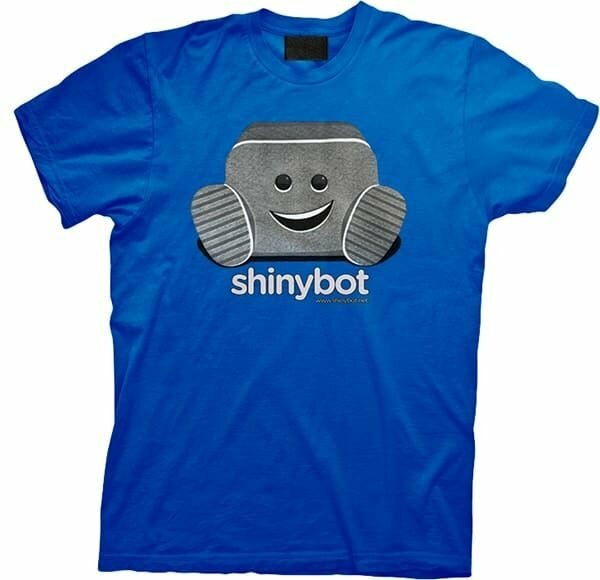 Shinybot mesh back, pre-curved cap. 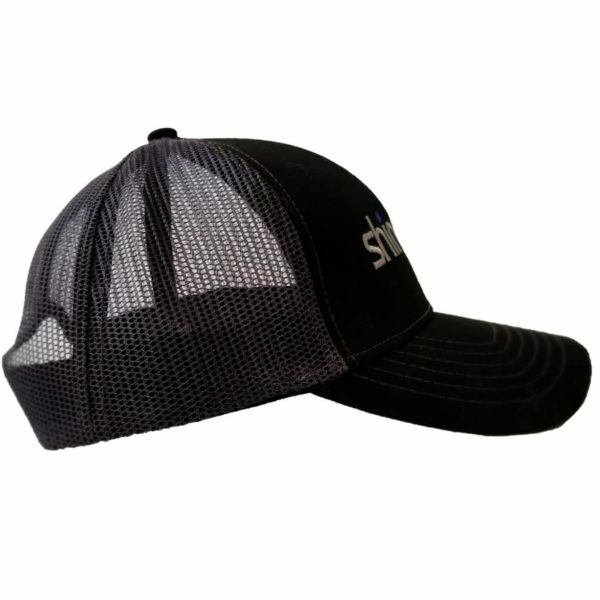 This cap is made of a cotton twill front and a nylon mesh back. 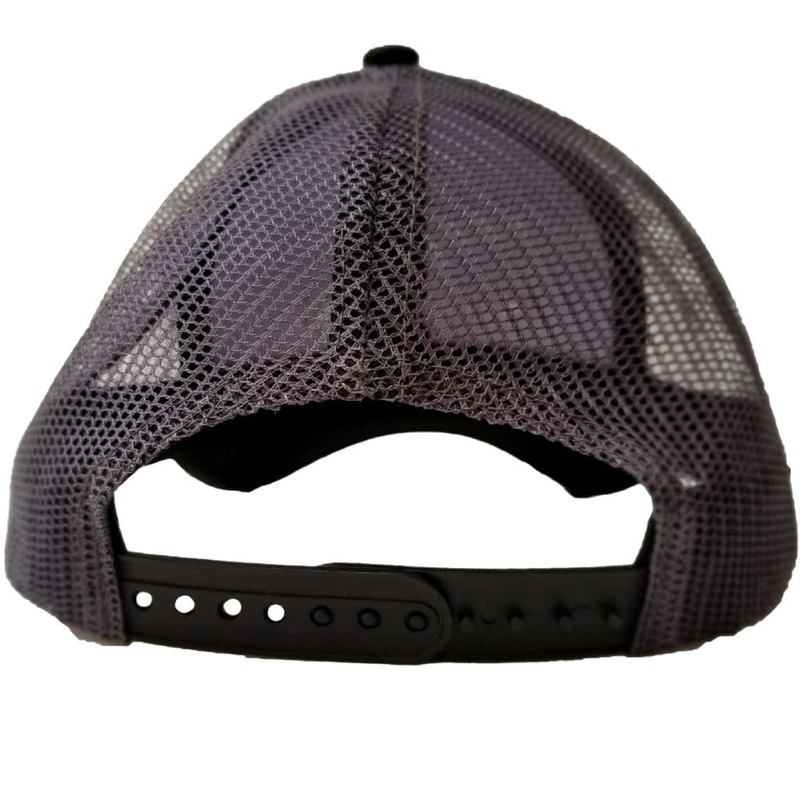 Some of the other features of this structured cap are a mid to low crown with an adjustable plastic snap closure.